We partner with our feeders to provide the best experience possible and maximize the potential of their projects. 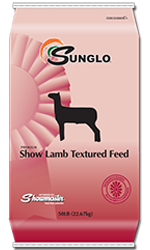 Sunglo® Feeds serves the livestock show industry with nutritional expertise and superior products. 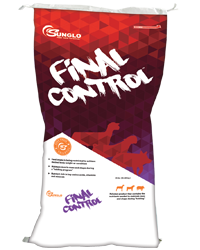 We have built our considerable experience in animal nutrition manufacturing by providing products and solutions with a distinctive difference for our customers. 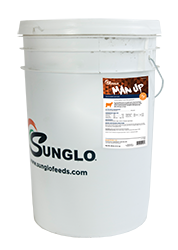 Sunglo Feeds is a partner you can count on for integrity, excellence and profound respect for you and your animal nutrition needs. Enhances appearance and definition of muscle as animals enter the show ring. 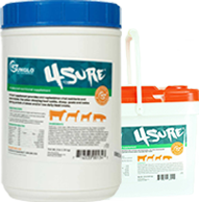 Designed to increase the capacity of the stomach or rumen. 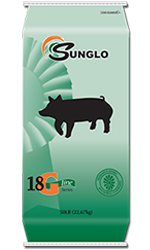 Natural source of glucosamine and chondroitin for joint, hoof and skin health. A liquid oil top dress to add additional energy in the form of fat to the diet. Sunglo S’MORE is a dry or wet fed show supplement to enhance an award winning, full appearance for swine, sheep, goat or cattle. 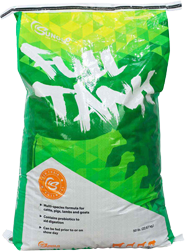 Formulated to give your show animal increased bloom and muscle tone. 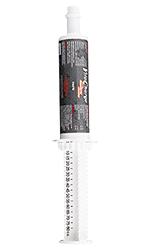 Supplement to provide and replenish vital nutrients and electrolytes. 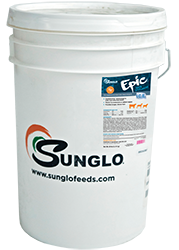 Sunglo “Bloom & Fiber Add Pac” is a blend of ingredients designed to enhance your show feed formula. 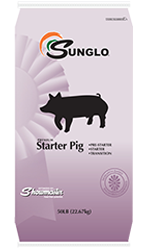 Sunglo CleanOUT is a medicated dewormer for swine. 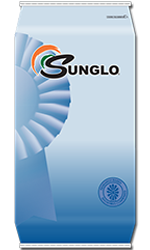 A crumble supplement containing Paylean® designed to be mixed with Sunglo® complete show feeds. Supplies needed nutrients to maintain mass and shape during “holding”. 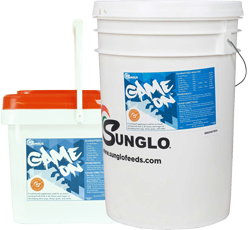 Sunglo Game On is a high palatable, all NEW fat source! A non-medicated milk replacer designed to be fed to pigs the last 30-45 days when getting them ready for show! 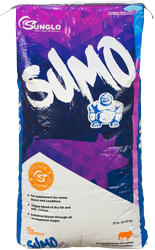 Sumo combines the most advanced and aggressive sources of fat and milk products to ensure immediate acceptance and improved bloom and consumption. 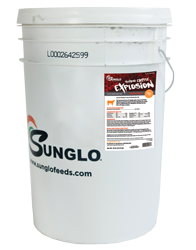 A specialized ultra-small pellet designed to smooth the transition from sow’s milk to dry feed. 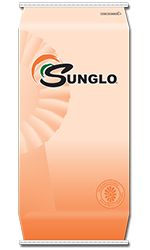 Aggressive approach to early sale ready bloom and shape following Sunglo® Pre-starter. 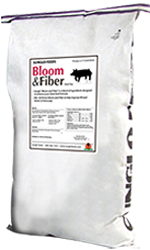 A pelleted starter that maximizes bloom on weaned pigs. Maintains bloom and doubles as a first feed to new home. Feed after transition to promote growth and muscle development. 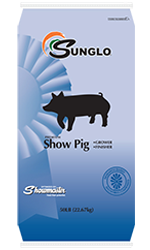 A unique product for the critical times in a showpig's rapid growth curve. 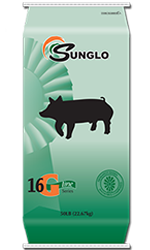 Feed after Show Sector to promote growth and muscle development in show pigs 75 lbs and up. Option following grower or transition. Enhances a softer look. Designed to add condition to pigs that are harder in their appearance. Designed to enhance appetite and consumption with extra nutrients to build dimension and volume. 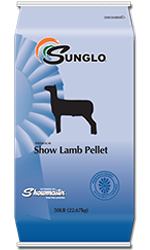 Superior starter nutrition with 9 grams Paylean® to enhance show readiness in a pellet form. Superior starter nutrition with 9 grams Paylean® to enhance show readiness in a meal form. 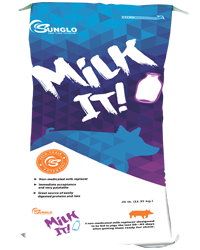 A premium sow base mix to support production in gestation and lactation. 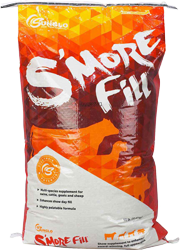 Base mix for premium meal nursery diets. 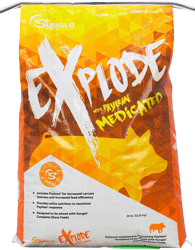 A second phase base mix used to make the primary starter diet used for developing show pigs. 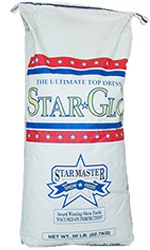 A “tried and proven” show feed base mix to be used for grind and mix show pig grower or finisher rations. For increased rate of weight gain, improved feed efficiency, and increased carcass leanness in cattle fed in confinement for slaughter during last 28 to 42 days. To be used as a supplemental forage source for cattle, goat, sheep and equines. 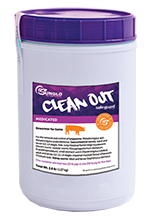 Hair Supplement for Show Cattle is cutting-edge technology. For healthy rate of gain, improved feed efficiency and increased carcass leanness in cattle fed in slaughter confinement the last 28 to 42 days. 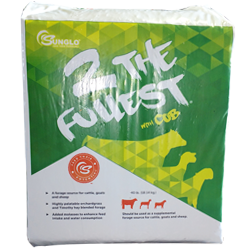 Designed to feed calves up to 8 months of age. 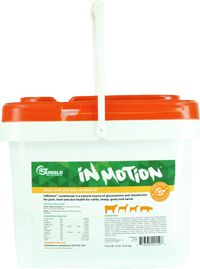 A medicated, high-performance growing ration for beef calves (show competition). Complete feed for finishing cattle 120 days before end-point. 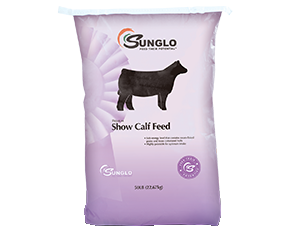 Ideal show cattle protein supplement to be fed with roughage and mixed with grains. 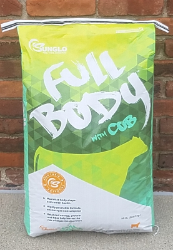 Complete feed now with cob for creep, sales prep and a pre conditioning feed to maximize body shape and rumen health. Creep feed designed to get young lambs started right. Ideal for show lambs, breeding ewes and bucks being fitted for sale. 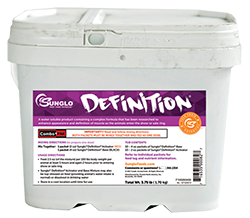 Balanced formulation of protein, fat and fiber that keeps lambs on feed. Designed to be fed to starting, growing and finishing lambs. Feed from 3 weeks of age to 5 weeks after weaning. 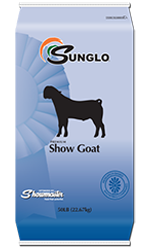 A complete growing and finishing ration for show goats from 60 pounds bodyweight through finish. 15R is a higher fat and higher fiber option when feeding goats from 35-100 lbs.